Used these for the first time yesterday. To cut a long story short I was definitely in the early stages of a UTI (good to know). These strips are easy to use and give accurate results from what i can tell. I purchased these as I needed a way of monitoring the infection before biting the bullet & visiting my GP. The test strips arrived in a box and inside is an information leaflet on how to use the strips & what the different test results are for. 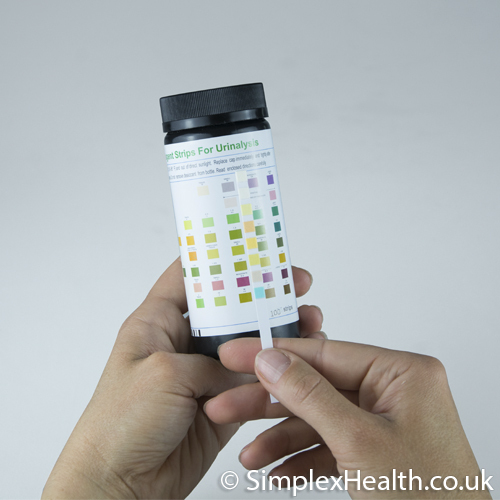 The colour label on the bottle makes it very easy to read the results & once you know what 'nasties' it's detected you can find information online to work out what's going on. Luckily my regime of nettle tea & d-mannose supplements worked within a couple of days & the test results now show normal. Very Accurate to use and I use these to test before I go to the GP and so far each positive has been confirmed by docs own tests so yes woudl recommend.